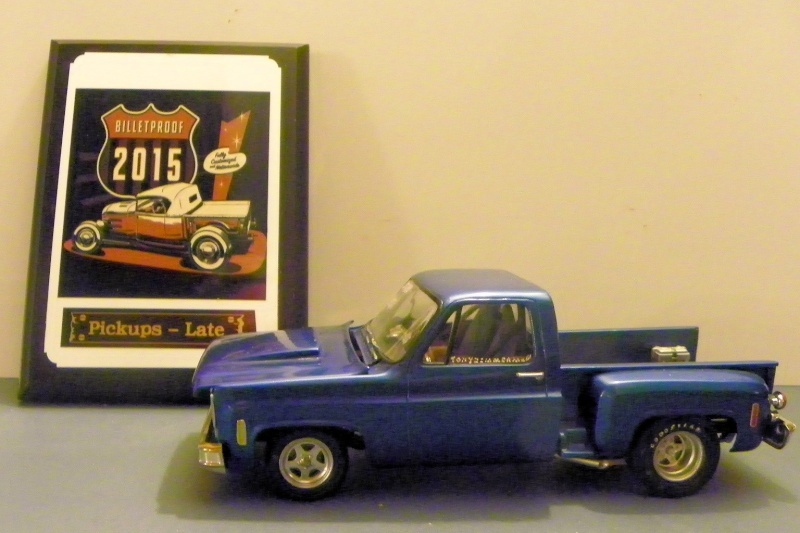 Yesterday Butcher Bob and I went over to Centrailia to enter into the Billetproof Model Car Contest. Good show and S.A.B.A. Northwest did their normal fine job of hosting it. It seems to always be smooth when they are in charge. 136 Models at the show with 113 in competition. man there are some good builders show their work at this show. 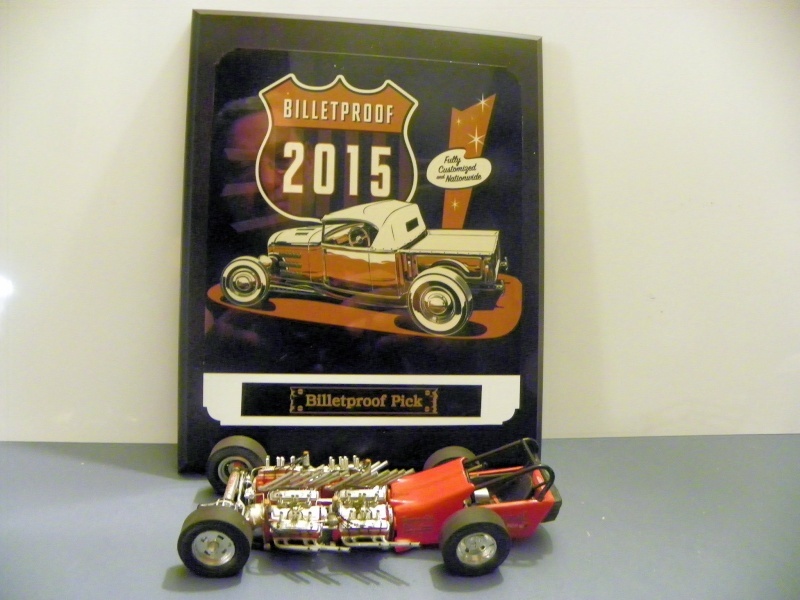 I was lucky enough to win a First Place in Late Model Truck with Big Blue and won the Billetproof Pick with the Showboat Dragster. That is quite an honor. Nice one Buck. Well done buddie. Well done! Well earned! Well, I'll be!